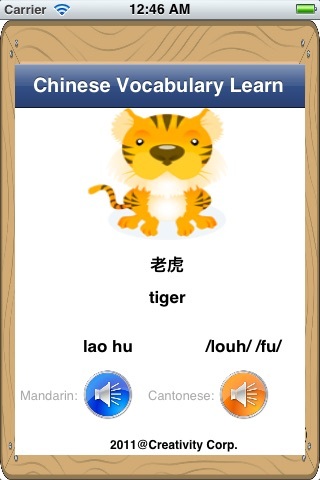 Chinese Vocabulary Learn teach you chinese animal vocabulary. You can listen both cantonese and mandarin speaking. 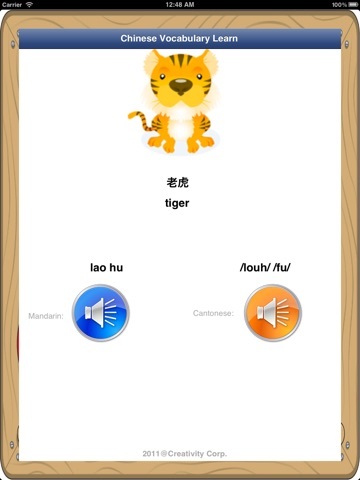 It's a good app for you to learn chinese.